There’s more to the concept of Instagram careers than nabbing an opportunity to work behind the scenes with the Insta-leaders. 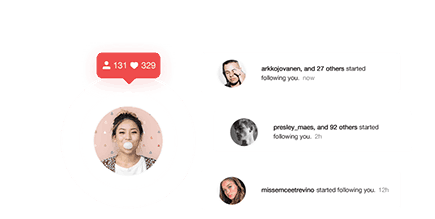 Getting an actual job with the Instagram team might sound incredible for those obsessed with their feed. However, unless you live in San Francisco, or you’re lucky enough to find an open position close to home, those fundamental Instagram careers might not be right for you. There are other ways that your Instagram lifestyle can help you to accelerate your professional development. Remember, around a million people are using Instagram today. That’s about an eighth of the global population. There’s a good chance that you’re sure to find at least one or two potential employers online. A lot of big companies have already turned to Instagram to promote open jobs and new opportunities. Today, we’re going to take the idea of Instagram careers to the next level and look at what you need to do to earn professional opportunities with your account! The first thing you’ll need to do if you’re interested in Instagram careers is show that you’re worth a recruiter’s attention. Whether you’re trying to get a role at Instagram, or just improve your hiring potential in a creative field, you’ll need a business-ready presence on IG. If it helps, you can always consider having a personal account and a professional account. That way, you’ll have one space where you can share your photos with friends, and somewhere else where you can build a strong professional portfolio for future employers. Keep your username professional: FirstnameLastname is a good option or FirstNameYourProfession. 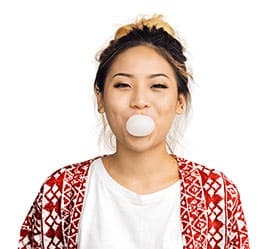 Get your profile picture right: You’ll need a classy, professional-looking headshot to help you find Instagram careers. Don’t underestimate your bio: Write a short and interesting bio about the work you do and who you are. You can also let people know that you’re looking for a job. Think about how you present yourself on LinkedIn – the world’s most popular “professional” social channel. The chances are that you share links to relevant content in your space, post only the most professional pictures, and occasionally upload useful content. You can take the same approach when you’re exploring potential Instagram careers. For the most part, people looking for jobs on Instagram are often influencers or creatives. After all, as such a highly visual channel, you’d expect Instagram to be full of charismatic and artistic people. Motivation quotes and text over stunning photos. Finding potential Instagram careers through your social content can be a lot like finding authentic followers. In other words, you need to plan how you’re going to get your material seen online. Instagram is a visual platform at heart, but the right #hashtags and captions can make your images stand out. Plan each post carefully, thinking about how certain terms might be able to grab the attention of hiring managers and recruiters looking for your specific set of skills. Remember, you don’t need to go overboard here, a short caption and a few relevant hashtags can be enough. 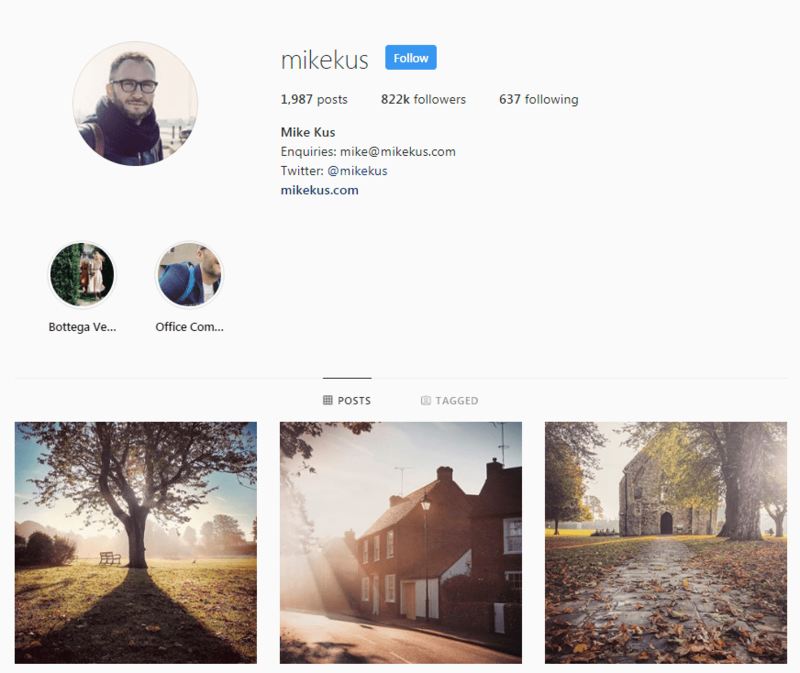 According to popular Instagram photographer, @MikeKus, it’s important to blend trending hashtags with industry-specific terms. You don’t want to ruin your chances of earning plenty of followers by using too many jargon-based terms but remember that you are trying to attract people who are looking for a professional new employee also. One of the reasons why social media has become such an essential part of reaching your #CareerGoals is that it gives you a fantastic opportunity to network. While Instagram might not have the groups and job-focused features of LinkedIn, there are plenty of ways that you can expand your opportunities on your profile. Remember, even if the business you’re interested in doesn’t have an Instagram account, you can always search for the leaders of that organization instead. Check out the “About Us” page and look for people you can add to your network that way. 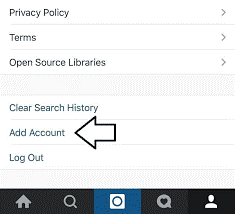 There’s also an opportunity to boost your chances with Instagram careers by taking advantage of the Instagram “search” tab. Look for hashtags used by companies you’re interested in and connect with anyone relevant to your search. As you know if you’ve ever tried to build a following on Instagram before, you have to connect with people if you want them to pay attention to your content. 38% of Instagram users check their feed multiple times a day, so the more active you are, the more likely you are to earn their attention. One way you can “engage” your followers is to simply like their posts and comments on their photos. Just make sure that any comments you leave are thoughtful enough that they demonstrate your professional nature. Vague, half-hearted comments won’t generate many opportunities in terms of Instagram careers. At the same time, you can also consider sending messages to the people you most want to connect with on a professional basis. The main thing to remember here is that Instagram direct messages aren’t used as often as things like Facebook Messenger. You’ll need to make sure that your messages don’t come across as spammy and ensure that you only reach out after you’ve already engaged with the person in other ways (by liking and commenting on their photos). When you are ready to send a message, just let the person you’re contacting know that you love what their company is doing and hope to work with them someday. You could ask for tips on how to apply for a role and let them know that you’re keeping an eye on their careers page. If your Instagram bio is effective enough, you won’t even need to worry about sending a resume. Finally, if you’re hoping to set yourself up for some phenomenal Instagram careers, then you need to be willing to do the work. One of the biggest complaints that hiring managers make about #JobSeekers is that they don’t spend enough time preparing before they walk into an interview. If you do end up getting an interview thanks to your Instagram profile, make sure that you gather as much information as you can. While scanning the internet for essential updates is great, a business Instagram page can tell you a lot of the things you need to know about the company and its culture. Pay attention to the people working at Instagram, what the office looks like, and what people do on a daily basis. This will give you a great background to draw on when you go into the interview. The more you can make a hiring manager believe that you’ll fit perfectly into the existing company culture, the better off you’ll be. The more Instagram grows, the more we discover that it’s not just a place for sharing photos and wasting time. Today, brands can build their business on Instagram, just as professionals can search for potential careers and develop their sources of income. Of course, any kind of success on #IG starts with learning how to use the platform to your advantage. Here at Upleap, we can make sure that you’re getting the most out of your Instagram experience. Whether you’re building your reputation as an influencer, or looking for Instagram careers, start your free trial today!